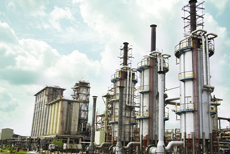 The Company was established in the year 1990 under the name Eleme Petrochemicals Company Limited (EPCL) as wholly owned subsidiary of the Nigerian National Petroleum Corporation (NNPC), for meeting the raising demands for plastic resins in Africa. When the National Council for Privatization, the Agency under the Federal Government of Nigeria, declared the privatization of EPCL, Indorama emerged as the core investor and acquired EPCL in the year 2006. The company name was changed to Indorama Eleme Petrochemicals Limited in June 2012.